UPDATE: Adding to the string of recent victories for supporters of voting rights, the 4th Circuit Court of Appeals struck key provisions of North Carolina’s discriminatory Voter ID law. The court said, “The new provisions target African Americans with almost surgical precision” and “impose cures for problems that did not exist.” Echoing decisions in previous cases, such as those below, in which laws deemed to prevent alleged voter fraud were struck down, the judge went on to note that, “the asserted justifications cannot and do not conceal the State’s true motivation” of disenfranchising minority, mostly democratic voters. Following the decision, at least one political candidate tried to stoke fears about how this recent victory for democracy might affect the November presidential elections, raising unfounded assertions about the possibility of people voting 10 times. In fact, studies have shown that the type of voter fraud that is supposed to be addressed by voter ID laws doesn’t exist. One study found that out of one billion votes cast, only thirty-one showed evidence of voter impersonation. Likewise, there is absolutely no evidence that multiple voting will occur, and there are already safeguards in place against such fraud short of the modern-day poll tax that was attempted in North Carolina. Fortunately for America, we know better than to believe soundbites that would conveniently have us deny the right to vote to our fellow citizens. Our democracy depends fundamentally on protecting everyone’s right to vote, and these recent court decisions are the next logical step in our way toward a more perfect union, following hard-fought battles of the suffragettes and the Civil Rights movement to ensure the right to vote for all Americans. In a victory for representative democracy in the United States, a federal appeals court in Texas found that the state’s strict voter ID law had a discriminatory impact on African American, Hispanic and poor voters. The ruling ordered a lower court to implement a remedy that would allow 600,000 Texans to vote in November, even though they do not have the identification required by the state law. According to the majority, “It would be untenable to permit a law with a discriminatory effect to remain in operation.” It went on to note that while the state has a legitimate interest in preventing voter fraud—the justification given for the strict voter ID laws Texas attempted to put into place—“the articulation of a legitimate interest is not a magic incantation a state can utter to avoid a finding” a discriminatory impact. 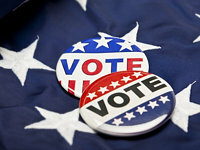 This follows a decision earlier in the week in which a federal judge declared voters in Wisconsin who did not have the identification required by Wisconsin law would be able to vote as long as they were willing to sign an affidavit swearing to their identity. The judged called the remedy a “safety net” to ensure citizens were able to participate in the upcoming elections. A more responsive and participatory government depends on every citizen being able to exercise his or her right to vote. Citizens who are wrongly disenfranchised have no remedy to get their vote back; once an election is over, that fundamental right is lost. Yet, in the lead up to the 2016 elections, citizens’ right to vote has been under threat in many jurisdictions across the country. While this weeks’ decisions in Wisconsin and Texas are not an indication that the trend toward making it harder to vote is reversing (strict voter ID laws are still in place in North Carolina and Virginia), it is perhaps a hopeful sign that hundreds of thousands of voters can now be assured their votes will count in November.